40 YEARS OF THE WALL - The World's Greatest Pink Floyd Show makes a stop in Huber Heights! Brit Floyd, the world’s greatest Pink Floyd tribute show returns to the stage in 2018 for a very special '45th Anniversary' retrospective of Pink Floyd’s iconic 1973 album, The Dark Side of the Moon. The Eclipse World Tour will include a stop in Huber Heights, OH at Rose Music Center on Friday, May 11th. 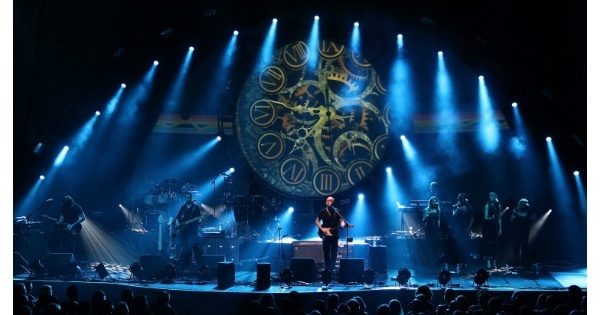 Find more events like "Brit Floyd - The World’s Greatest Pink Floyd Show"
The Stuart & Mimi Rose Music Center at the Heights is a 4,200 seat fully covered outdoor amphitheatre.